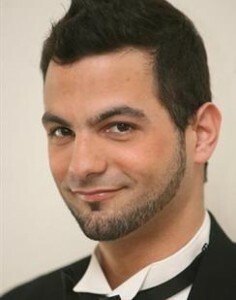 Hailed by the New York Times as “bright-voiced and poignant”, countertenor Nick Zammit has performed the lead role of the Refugee in Austin Lyric Opera’s production of FLIGHT by Jonathan Dove in April 2011 and also as Ottone in Monteverdi’s L’INCORONAZIONE DI POPPEA with The Juilliard School in November 2010, conducted by Harry Bicket. A graduate from the Masters program at UCLA’s Herb Alpert School of Music, Zammit was honored by being named a National Semifinalist in the 2010 Metropolitan Opera National Council Auditions as a result of winning the 2009 MONC Western Finals. While with Opera UCLA under the direction of Peter Kazaras, Nick was seen as the Refugee in the west coast premiers of FLIGHT by Jonathan Dove and also in the title role in Francesco Cavalli’s GIASONE, conducted by Stephen Stubbs. As a soloist Zammit has recently performed for Musica Repemptor, La Follia Austin Baroque, Opera in the Park Palm Springs, the Metropolitan Opera Palm Springs Showcase of the Desert, and The Opera Buffs. Zammit received his Bachelors Degree from New England Conservatory of Music in Boston, Massachusetts, where he studied with Michael Dean and Carole Haber. His coaches have included John Moriarty, Susan McClary, Stephen Stubbs, Gary Wedow, Rakefet Hak, and Mona Lands.